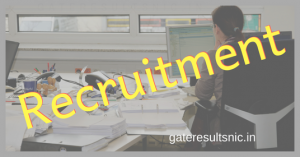 Latest employment news, Guntur GGH Recruitment 2019 has freed. Authorities has released official GGH Guntur Staff Nurse Notification to fill empty vacancies on contract basis. 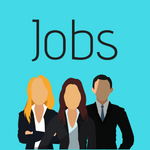 Through this GGH Guntur Staff Nurse Recruitment 2019 officials has decided to hire 37 posts. The registration process for Guntur Government Hospital Staff Nurse Jobs has started on 6th December 2018. Interested candidates for latest AP Govt Jobs have to apply offline. One can download Guntur GGH Application Form by log on to the official website Guntur.ap.gov.in. Fill details in the application without any mistakes. Forward the duly filled application before 15th December 2018. Guntur GGH Recruitment 2019 has released to fill 37 posts of staff nurse. We know many candidates who have possessed with required eligibility criteria are planning to apply GGH Guntur Staff Nurse Recruitment 2019. Here we have attached the direct link to download GGH Guntur Staff Nurse Notification. Go through the link and check once whether you satisfied the specified educational qualification and age limit or not. Follow the simple steps given here and fill details in Guntur GGH Application Form. Keep visits official website Guntur.ap.gov.in for more details. Guntur GGH Recruitment 2019 is the best chance for the aspirants who completed intermediate with diploma in relevant field. Applications for GGH Guntur Staff Nurse Recruitment 2019 are accepting in offline mode. The last date to send the duly filled Guntur GGH Application Form is 15th December 2018. Complete information regarding Guntur Government Hospital Staff Nurse Jobs has available here. Age limit: Maximum age limit of the aspirants should be 40 years. Upper age relaxation will applicable as per govt norms and rules. Aspirants for latest Staff nurse vacancies will be selected based on their performance in interview. How to fill details in Guntur GGH Application Form? Click on this link and download GGH Guntur Recruitment 2019 Notification. For more details keep visits our site gateresultsnic.in. 1.5 How to fill details in Guntur GGH Application Form?